Last month, I wrote about preparing our ranches for fire (Fire Season is Here: Is Your Ranch Ready?). Since that time, we've seen large fires in ranching country (including the County Fire in Yolo and Napa Counties, the Pawnee Fire in Lake County, and the Klamathon Fire in Siskiyou County). 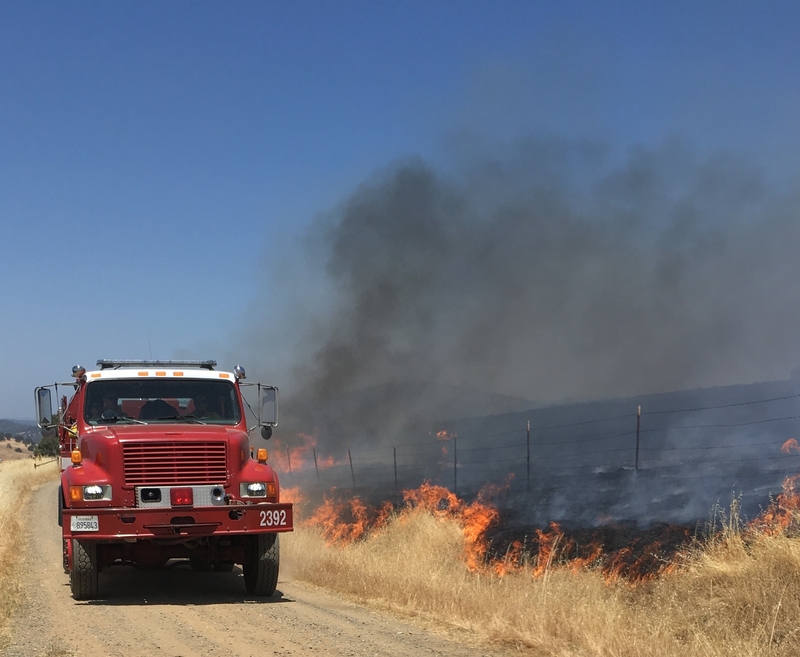 Each of these fires is a stark reminder that we live and raise livestock in a fire-prone landscape. And finally, I'm working on organizing similar meetings with first responders in Nevada, Yuba and Sutter Counties. If you operate a commercial ranch, or lease land to a rancher in one of these counties, and would like to get involved, please contact me at dmacon@ucanr.edu. 1. How do animals access water, is it dependent on a human? 2. Is there a guard dog or other animal that can't survive on grass and water alone - that needs feed or in emergency do you haul out if you cant access during evacuation. 3. Lambing/calving season etc. Reason for this point is so that others could see from our plan we will need re-entry to check for calving or lambing etc. When I was a kid my Dad had to euthanize a cow due to a relatively routine ailment that could have been prevented with access. 4. For Blue Oak, I like your safe zones, I think expand to option 1…Option 2… for example your rams option 1 may be trailer out, small load not worth messing with away from your home. 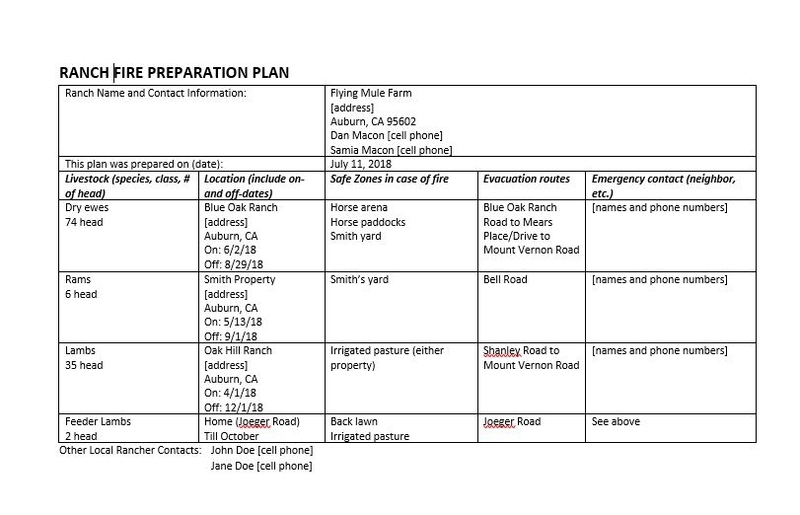 I would also add to this sheet contact info for Animal Control or CalFire Liaison officer, hauling contractor etc contact info so if you had a plan in each one of your vehicles etc. All your decision makers would have access to those numbers."